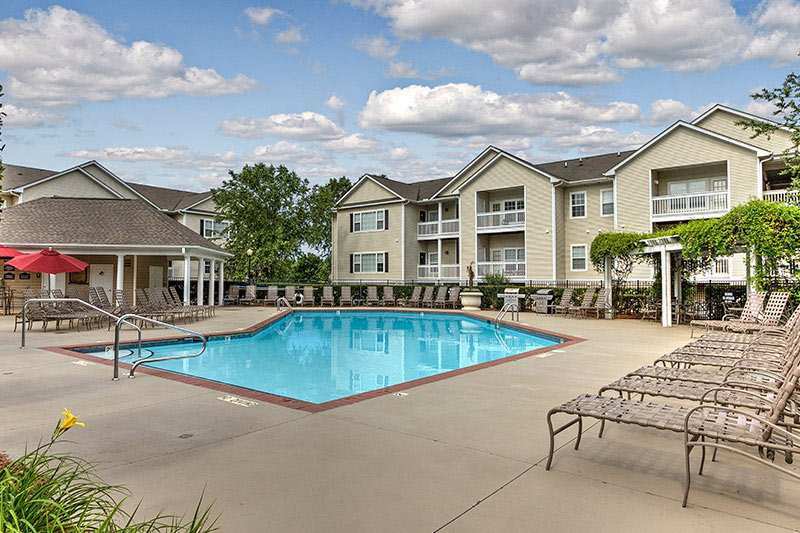 Auston Woods Apartments has 1, 2 and 3 bedroom apartments in Charlotte, NC. Features include washers and dryers, cathedral ceilings, built in microwaves, expansive walk in closets, garden tubs, high speed internet access and sunrooms optional. We are conveniently located in northeast Charlotte just minutes from I-77, NorthLake Mall, I-485, Uptown/downtown Charlotte, fine dining and entertainment. Pets welcome. We offer luxurious apartments in Charlotte, NC. Each apartment home features unique details and offers beautifully finished one, two and three bedroom floor plans. All of our beautiful apartment homes feature a full-size washer and dryer or connections. You will have two options for your new kitchen including stunning white cabinets with white appliances or HHHunt signature maple cabinets and black appliances. Custom gourmet kitchens, built-in microwaves, ceiling fans, nine-foot ceilings with triple crown molding, and walk in closets exceeding 25 feet are just a few of the home finishes that distinguish Auston Woods from the surrounding communities. If you desire additional upgrades in your home, we also offer styles that include beautiful sunrooms, cathedral or tray ceilings, and private entries. As a resident of Auston Woods you will have double the pleasure with distinctions including a Cyber cafe with coffee bar, two cutting edge fitness centers with advanced cardio machines, two executive style business centers with separate conference facilities, and two resort-style swimming pools that include wireless internet, grilling stations, lounge seating and expansive sun decks. No need to look any further, Auston Woods is right where you want to be. Mingle with your neighbors at our exclusive Resident Activity Center equipped with foosball, billiards, and game tables. You will have fun in the sun all year long at our Recreational Area including a sand volleyball court, playground, and picnic area. And, we love our four legged friends too! Join in on Yappy Hour at our exclusive bark park. For more information, contact Auston Woods.